Every 4 years, brands in India are taken back to the drawing board to design an engaging campaign for the cricket world cup. Maybe now, the need of this engagement is diminishing because of too much cricket and rise of other sports in India. Brands like Vodafone and Hyundai are more focused on IPL while Amul & Docomo are more associated with Premier League Football than cricket. This year, 2 campaigns stand out for two completely different reasons. Stars ‘Mauka Mauka” represents a great story-telling layering with nostalgia, humor and relativity. On the other hand, Lays World Cup campaign is pretentious, cliched and too much dependent on the star power of Ranbir Kapoor. In my memory from 1999 cricket world cup stood out for 2 excellent campaign. 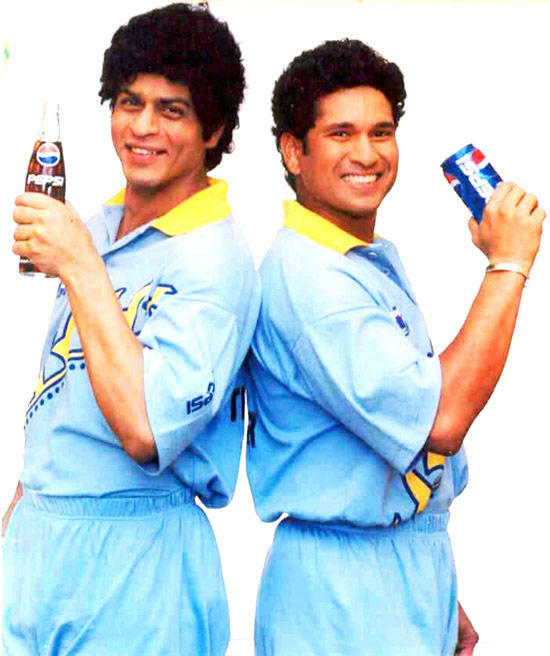 The first campaign was Pepsi’s “Yeh Dil Mange More” with Shah Rukh Khan, Sachin Tendulkar, Azhar and others. In search of Pepsi, Shah Rukh breaks into Indian Dressing Room wearing a Sachin wig. If you don’t remember what happens next then you should definitely watch this commercial. 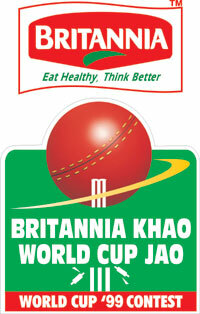 Another campaign was Britannia’s – Britannia Khao, World Cup Jao (Eat Britannia, Go to the World Cup). The idea of campaign was that each Britannia product had runs in the packet depending on the value of the product. For example, 50-50 biscuit’s packet had 10 runs, Fruit cake 40 runs and so on. When you score a century after collecting empty packets worth 100 points, you get a booklet with Cricket facts, statistics and a scratch card to find out if you have the World Cup ticket or not. Of the 10 odd booklets that I had (yes, i force feed myself for those biscuits to get more of those booklets ), all of them said try again but still there was no hard feelings because that booklet itself was novelty for kids like me. The reason this campaign is still in memory is because of the engagement that it managed with it’s target audience. Not only teens and school going kids were collecting those packets, I also saw retired uncles and soap watching aunties collecting them too. The result for Britannia was healthy too. That year, the companies financials show 37% increase in the profits. So, well done Britannia with that campaign. Do you remember any other campaigns from previous World cups that stood out. Do share. Thank you Kaushik. I remember Hoodibaba by Bajaj and the tune is catchy too. However, the Reliance one with Sehwag didn’t impress me much. I think that was a very average campaign. If you think about it, we are such a simple generation, even few commercials are enough to make us nostalgic. You had collected those wrappers too? I really want to meet a person who actually went to the World Cup by eating cookies. Center Fresh had run a campaign with Cricket cards. That was excellent campaign too. I remember in school, we use to exchange those cards, specially when one of us had double cards. I use to like South Africa a lot, so once gave us 4 cards to get Jonty Rhode’s card. I also remember collecting a booklet of sorts before 1996 WC…but I am not so good with memory to remember the details. Hi Alok. i am not sure about the booklets in 1996 world cup. They were surely in 1999 and 2003 world cups but can’t recall for 96. Even I am not sure about that, but I did have something. Anyway, I liked your post. I loved Britannia khao World Cup jao too.. It was innovative and really engaging! And in 2003 the ad where Sachin and the Honolulu reference is made. Can’t recollect the brand. Should be Pepsi. Ads these days are well, extremely lacking creative elements. But I did like the Mauka series! Lovely post! Yes, Sachin, Warne & Carl Hooper were in Pepsi commercial where Sachin is made to take a plane to Honolulu instead of South Africa for the world cup. That was again an interesting campaign. Looks like Pepsi lost the track in commercials after that. 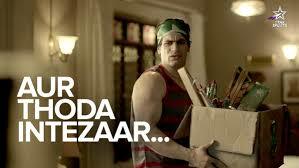 I don’t like the current campaign of “Oh Yes Abhi !” or in that matter, anything after “Oye Bubbly” disaster.